This moment must finally come. After a year of struggling on the tracks of the whole world, it was time for the last round of World RX 2018 season. We met the winner before, but the fight was for the remaining places on the podium! Every driver wanted to present himself as best as possible. Especially that for some of them they were probably the last races in World RX! France’s Loeb won Q1 Race Three to set the quickest time and even though his Team Peugeot Total team mate Timmy Hansen challenged the top of the Q1 times when he led Race Four, the Swede finished just 0.024 seconds behind in second. 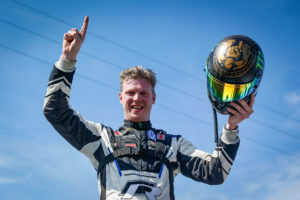 Third was EKS Audi Sport’s Andreas Bakkerud, who was second to Hansen in Race Four and PSRX Volkswagen Sweden’s Petter Solberg won Q1 Race Two and was fourth. But, there was drama when two-time FIA World RX Drivers’ Champion Johan Kristoffersson had a spin in Q1 Race Three on the second lap, after being passed by Germany’s Timo Scheider in turn one as Loeb took the hole shot. Kristoffersson finished the race but was slowed by a problem. Scheider jumped the start and had to take two joker laps as penalty. Latvia’s Janis Baumanis won the first race of the weekend in Q1 and was fifth quickest. EKS’ Mattias Ekstrom beat Olsbergs MSE’s Kevin Eriksson in a lap one battle for position and was sixth quickest. EKS Audi Sport’s Mattias Ekstrom also took a race win in Q2 Race Three and was third quickest to be ahead of Peugeot’s Timmy Hansen, EKS team mate Andreas Bakkerud and Loeb in the second qualifier. GC Kompetition’s Anton Marklund and Guerlain Chicherit put both of the team’s Renault Megane RS RXs into the top ten in seventh and ninth. Peugeot’s Kevin Hansen was eighth and ALL-INKL.COM Munnich Motorsport’s Timo Scheider struck back from jumping the start and taking two jokers in Q1 with 10th quickest in Q2. 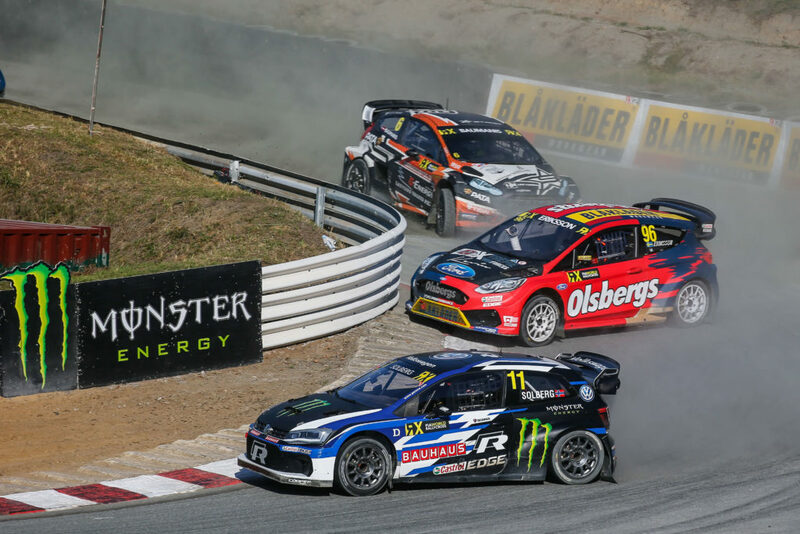 Sweden’s Johan Kristoffersson drove almost the perfect race in Q3 Race Four at the World RX of South Africa, the final round of the FIA World Rallycross Championship to set the quickest time. PSRX Volkswagen Sweden’s Kristoffersson made the best start and led for all four laps in his race to take his second quickest time of the weekend after winning Q2 yesterday. His time meant he beat the previous quickest time of Q3 set by Team Peugeot Total’s Sebastien Loeb when the Q1 winner took Q3 Race Three victory. Loeb ended up second in Q3 on new tyres and his Peugeot team mate Timmy Hansen was third in the times. Loeb is still top of the Intermediate Classification with Qualifying 4 still to take place later today. Norway’s Petter Solberg followed his PSRX Volkswagen Sweden team mate Kristoffersson into the first corner but was passed by an around-the-outside move by Hansen and was fourth quickest. Fifth, sixth and seventh for EKS Audi Sport’s Mattias Ekstrom, Andreas Bakkerud and Team Peugeot Total’s Kevin Hansen in Q3 mirrors their positions in the Intermediate Classification. 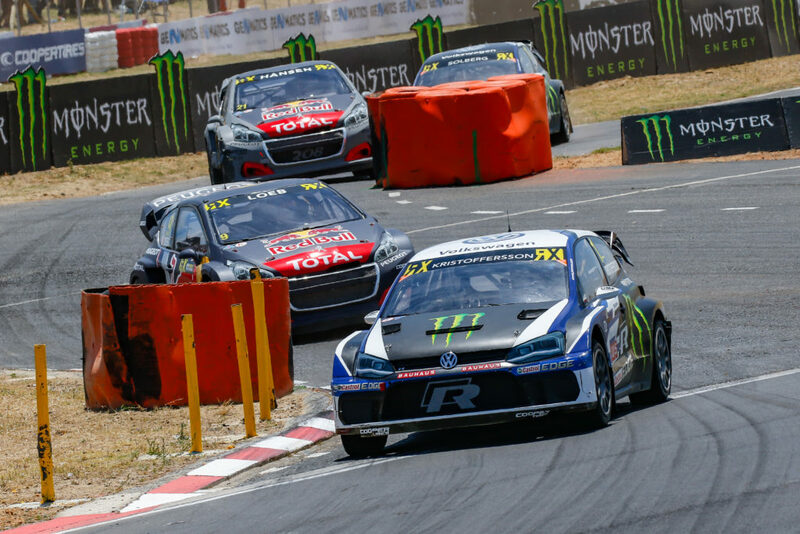 PSRX Volkswagen Sweden’s Johan Kristoffersson claimed TQ (top qualifier) in the final round of the 2018 FIA World Rallycross Championship at the World RX of South Africa with another quickest time in Q4. 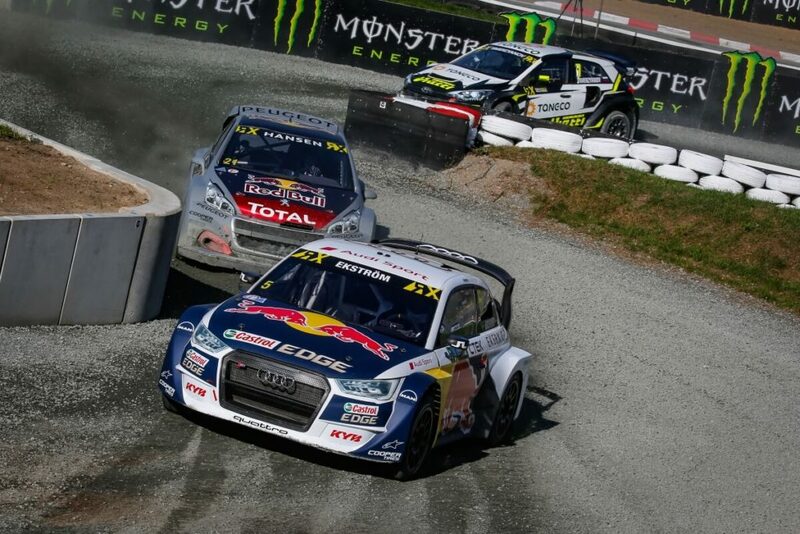 The World RX Drivers’ Champion took the hole shot in Q4 Race Four and led for the four lap race to take the quickest time and beat Team Peugeot Total’s Sebastien Loeb by the closest of margins to be TQ in the last round of the season. Loeb was second quickest in a twothree for Team Peugeot Total. His team mate Timmy Hansen is third in the Intermediate Classification and will start on the front row of semi-final one next to Kristoffersson. Loeb will be joined by PSRX’s Petter Solberg on the front row of semi-final two. EKS Audi Sport’s Andreas Bakkerud was third quickest in Q4 with a win in Race Three and moved to fifth in the Intermediate Classification. He will start the semi-finals this afternoon on row two of semi-final one with Peugeot’s Kevin Hansen alongside. EKS’ Mattias Ekstrom tried an around-the-outside move at the first corner in Race Four of Q4 and qualified sixth, he will start on the inside of row two in semi-final two with GC Kompetition’s Anton Marklund joining him on the grid. ALL-INKL.COM Muennich Motorsport’s Timo Scheider and GCK’s Guerlain Chicherit will compete the semi-final two line-up as Team STARD’s Janis Baumanis and GRX Taneco Teams’s Timur Timerzyanov will start on the third row of semi-final one.